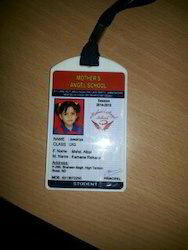 We are the leading manufacturer and wholesaler of ID Cards. Our offered products are Printed Plastic Cards, Cards Lanyards and Conference Badges. High appreciated for their elegant design, perfect finish, alluring pattern and smooth edge, this Identity Card is manufactured from high-grade plastics. These products can be customized based on design, color, size and thickness. In order to ensure a flawless range, these cards undergo various in-house quality-testing procedures. Offered cards are available with us at affordable prices. 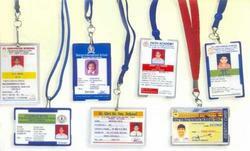 We are among the eminent names in the industry for manufacturing and exporting College Identity Cards. 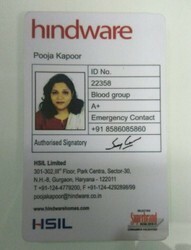 The offered cards are made from high grade of raw materials sourced from a reliable vendor base. They are exceptional in terms of durability and are used by college students for displaying their identification. These cards are provided with string and clips as well. 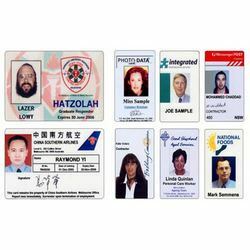 Known for their impeccable finish and enhanced functional life, these Plastic Identity Cards are widely used in school, collage, universities and corporate offices. Made from high density plastic, these cards can be customized as per the specifications provide by our esteemed customers. Offered cards are available with us in bulk quantities at market leading prices. We are among the acclaimed names in the industry for manufacturing and Wholesaling Neck Lanyard Cord. The offered lanyard is made from high quality of satin and is worn around the neck for displaying identification cards at various offices, seminars and conferences. They are quality approved, silky in appearance and provided with clip. 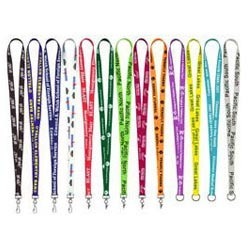 These lanyards are available in a wide range of colors.